After establishing the site cabins, boundary fences and Asphalt batching plant in May 2016, our site team began work on the pre-overlay and reconstruction of the taxiways. Runway and Taxiway Asphalt surfacing started in July, followed by the temporary and new Aircraft Ground Lighting (AGL). 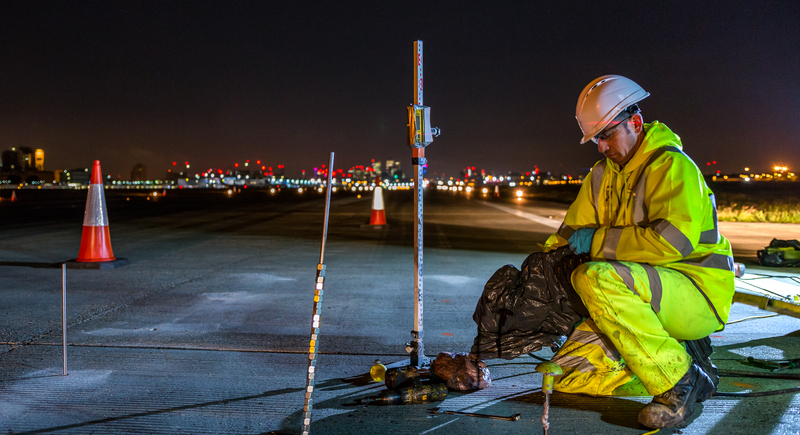 Our team worked closely with Airfield Operations and Security to ensure the smooth running of the works within a busy airport environment. One of our main concerns when planning the works was the effect our operations on the communities in the neighbouring areas. 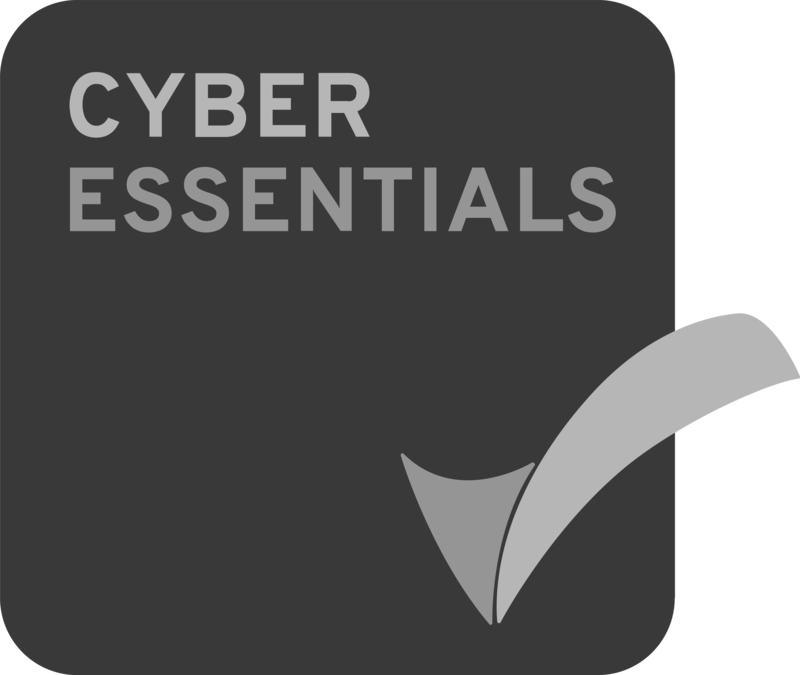 We held workshops with Newham Council to share our plans for minimising any impact on the local community. 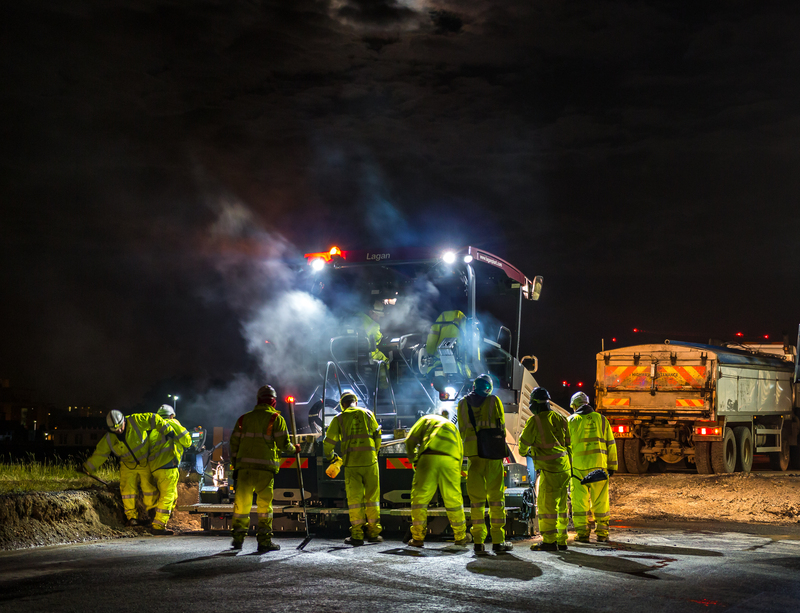 We also carried out a survey of potential noise impacts, using the results to re-sequence some operations to reduce the overall noise during most intensive work periods. A dedicated team worked in limited possessions from 21:00-05:00 every Tuesday to Sunday. A separate team was on site during the day. 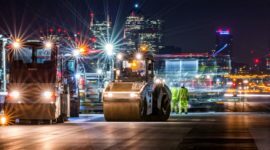 The noisiest works were scheduled for the beginning of the shift, typically before 23:30 during the week, and during daylight hours over the weekend. All plant and equipment on site was less than five years old and was fitted with the best available built-in noise suppression. 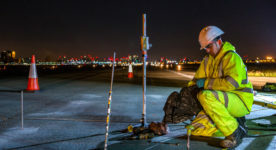 We used fixed and mobile acoustic monitoring units to check noise levels and report each week to Newham Council to demonstrate our compliance with strict measures. Over 90% of waste was recycled through careful segregation and by screening spoil for re-use on site. The project employed an average of 110 people, of whom around a third were from the local area. 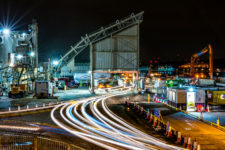 Bringing aggregates to site by barge, removed the congestion and air pollution that lorry movements on local roads would have otherwise caused. Close liaison with LCY Airport Operations to complete works in limited night-time possessions ready for smooth handback. Over 30,000 tonnes of aggregate delivered to site by barge, keeping over 1,000 truckloads off local roads. 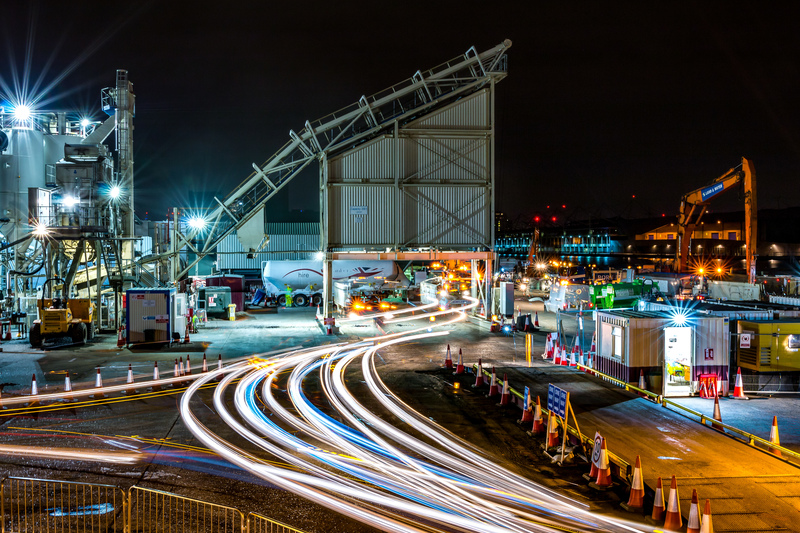 Sensitive scheduling of night works to avoid noise nuisance to LCY neighbours.